MFI can play an interdisciplinary excellence because it is supported by a Faculty that refers to three major universities in the fashion field: the Politecnico of Milan with the Faculty of Design, Bocconi University, the Cattolica University of the Sacred Heart, with the Centre Modacult.The presence of a high-profile academic group and enhancement of relations with the world of work and entrepreneurship, which each of the three universities have consolidated, allows the necessary disciplinary openness, making the training project a unique one worldwide. She is a journalist. A former editor-in-chief for Rockstar, a monthly magazine about music, culture and fashion, she is experienced both in dealing with the editorial staff and in writing, planning and editing articles. 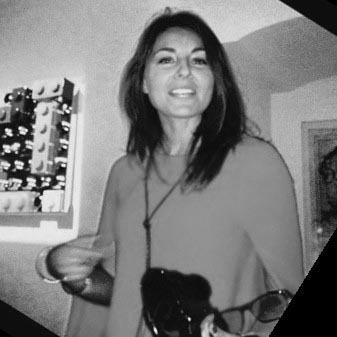 Her work has been published by Donna Moderna, D-laRepubblica.it, Cosmopolitan and F focusing mainly on current events, women's issues, show business and fashion. She has interviewed many famous people among designers, writers, actors, singers and politicians. Contract Professor at Milano Fashion Institute. She is Founder & CEO of Netlife s.r.l. an Italian Company focused on Communication, Press Office & Digital PR and on Education in Digital Strategies; and PR Manager and Head of Social Media for Holding and Italian Companies, after a degree in Foreign Languages and Literature, with Philological Specialization and Digital Publishing. She is an expert in Communication, Digital Publishing, Social Media and Digital PR. She has teached at Ca’ Foscari University in Venice in Language Science and in a variety of international courses for students and managers. 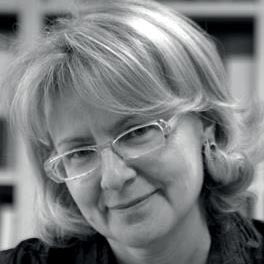 She is author of numerous articles and essays about Communication, e_learning and Digital, also as Scientific Director. Her last book is Ufficio stampa e Digital PR, la nuova comunicazione (2017), after Comunicare in rete l’Usabilità; e-Learning Comunicare e Formarsi online and il testo nel sito web, in Nuovo Dizionario di Marketing e Comunicazione. She collaborates with Reviews and Blog. 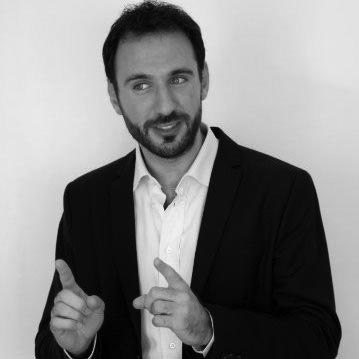 Aurelio graduated with a law degree from Universita’ Commerciale Luigi Bocconi in 2007. 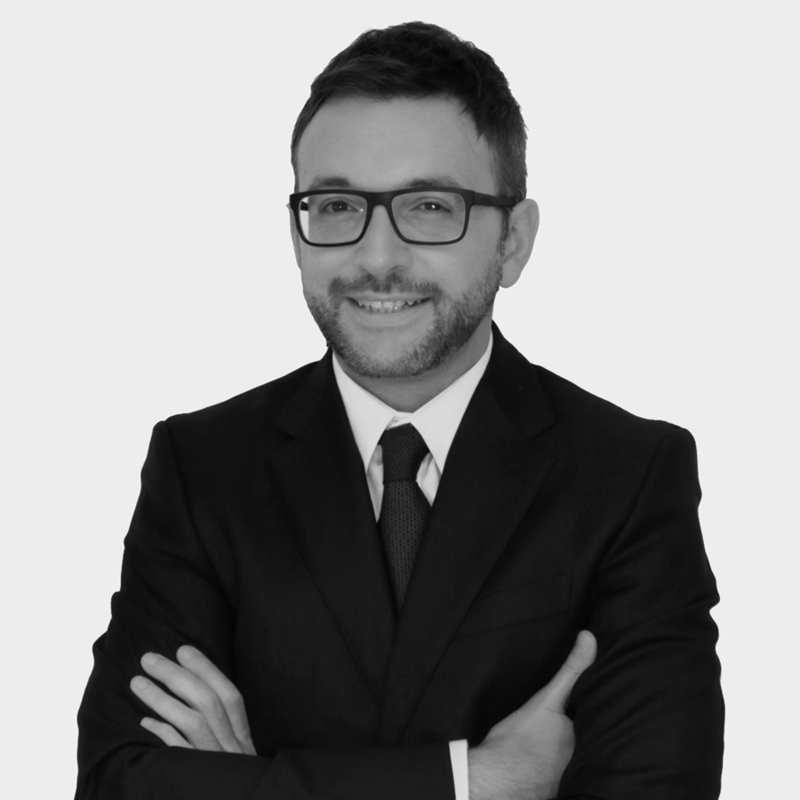 Since that time he has been a lecturer at Bocconi on ‘Legal Issues in Marketing’ and ‘Advanced Intellectual Property Law.’ Since 2016 Aurelio is a Partner of the firm, which he joined in October 2007. He has been a member of the Milan Bar since 2010. 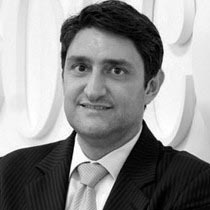 Aurelio has published in the areas of Intellectual Property and competition Law. Claudia Baldi was born in Bologna in 1967 and graduated in Architecture at the University of Florence. 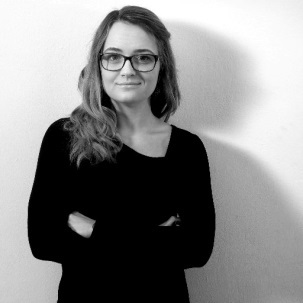 She lives and works in Milan, where she has created a Planning and Design firm operating in Italy and abroad in the Interior, Fitting and Industrial Design. Her main activity focuses on the interior design (houses and apartments, shop fitting and sales areas) in general, often developed within the framework of co-ordinated image designs. She is Professor in Interior Design and teaches Retail Design and Store Planning in the Master Degree courses at the Design Faculty of the Politecnico di Milano, where she also performs research activity in the retail and communication sector dealing with design strategies for point of sales and shopping areas. 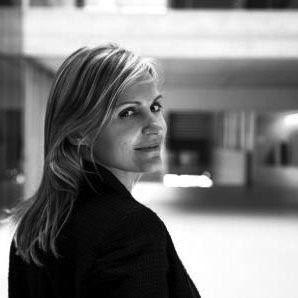 Furthermore, she teaches in the course of Progettisti di Allestimenti Fieristici ed Eventi (Exhibition display stands and equipment and Events Designers) of Fondazione Fiera Milano, as well as for various private institutions and firms, like Federmobili and IKEA. Contract Professor at Università Bocconi for IT courses in the Italian and international programs of the business and law schools. In the same university he is also coordinator for the activities of SEDIN (IT Education Services Center). As a freelancer, he is lecturer for courses focused on office automation for private companies and institutions. He has been research fellow at Bicocca University of Milan, conducting researches in the field of IT and sociology, with a special focus on mobile learning and mobile applications design. He has also been lecturer at Bicocca and IULM universities of Milan for courses on IT, Digital Cinema, Sociology and Consumer Psychology. 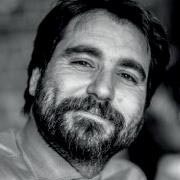 As a professional, he has been Sales Manager and Country Manager for the Italian branch of different UE companies operating in the digital cinema industry; he has been in charge for the design and coordination of training projects and other B2B services; he is Technical Advisor for OCCAM (UN affiliated organization founded by UNESCO) and he is a consultant for companies operating in the fields of media and digital technologies. He is co-author of several publications on IT and digital cinema. Brazilian by birth, German by heritage, Italian by adoption. 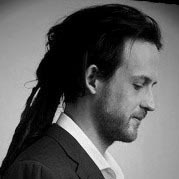 Nikolas is a Communications and International Relations graduate, specialized in Sociology and Anthropology within the unique context of travel, migration and integration. Thanks to his multicultural background, he fluently speaks 6 languages. His passion for people and group dynamics pushed Nikolas to work in the field of Corporate training and events. He spent the last years working as Event Manager and Trainer for both private companies and governmental institutions, such as Universities and big companies. With his two partners, he recently founded Plan Be, a company active in the field of training and corporate events. Adjunct Professor in the Department of Law for International Intellectual Property Law copyright course, featuring Harvard University Copyright-X program, at Bocconi University of Milan. 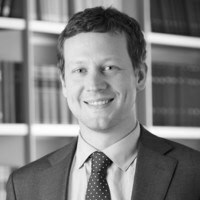 He is Senior Associate at Hogan Lovells Studio Legale (Milano) in the field of Information and media technology, intellectual property, data protection. Contract Professor at Politecnico Milano. Innovation Manager and R&D Consultant in Technical and Fashion Textiles Field. Project Leader in several patented researches and projects. Consolidated experience in management of operative teams addressing complex problems and issues. Expert in resource management and division of work program with the scope of achieving objectives and creation of effective synergies between company entities. In parallel with the research activity for innovation of materials, a strong experience has been consolidated in the management of projects and operational teams, by addressing complex problems, from design to the technological innovation in the fashion industry. Considerable knowledge and consolidated application of fabric products, from fibre to the final product, by means of the correct application of the various threads chosen according to the performance requirements. Knowledge of nanotechnologies and their application for the purpose of obtaining innovative and high performance solutions to improve comfort. Speaker at the NanotechItaly fair 2010 and 2012 with the papers “ Key Factor of development” and “Nanotechnology as Extra-Driver for Innovation”. Lecturer in the Marketing Department of Bocconi University where she teaches Marketing, Marketing Communication and Semiotics Applied to Marketing. She is working on the second edition of "Whine Space: comunicazione non convenzionale" edited by Egea. Holds a PhD degree in Linguistics from the University of Ghent. She currently holds a scholarship for a postdoctoral research on the language of fashion and its translations. 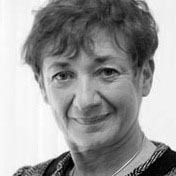 Her present and past researches have a sociological, linguistic and media-analysis approach to different communication phenomena. As part of her tasks, she teaches Italian at Ghent University, Belgium, Department of Translation, Interpreting and Communication. She is full professor at the School of Design of the Politecnico of Milan. She teaches Jewellery and Accessories Design and is the Head of the Fashion Design Degree, the Director of the Master in Fashion Accessories and of the post graduate degree in Jewellery Design. 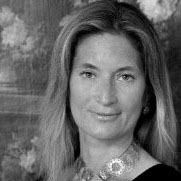 From 2014 she is the founder and the director of the Museum of Jewellery at the Vicenza Palladian Basilica and from 2015 she is the President of the Women Jewellery Association Italy. 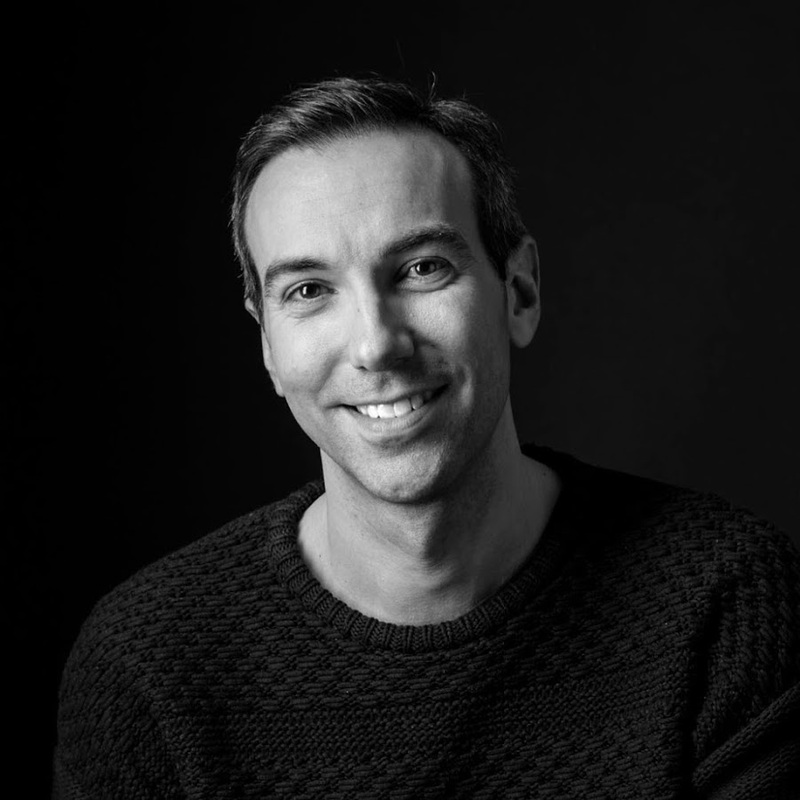 Gianluca Casile as been the General Merchandising Director of Giorgio Armani SpA, responsible for all the group's collections and brands (Giorgio Armani, Emporio Armani, Collezioni, Armani Jeans, Armani Junior and EA7), menswear, womenswear and accessories. 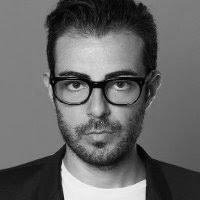 Before this, Gianluca worked for 8 years at Burberry in London focusing on the product development and merchandising of the womenswear and the non-apparel business of the brand, leading Burberry to become a luxury brand worldwide though merchandising and digital strategies. 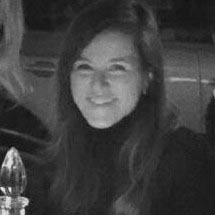 Other experiences include merchandising management at Gianfranco Ferre'and consulting activities for different luxury brands in London and Milan. Associate Professor at Politecnico, Milano, Design Department. 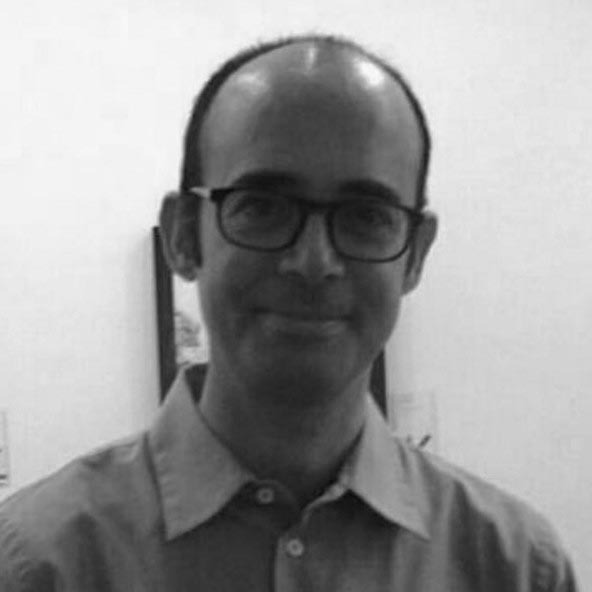 Cabirio Cautela teaches strategic design and design management. Phd in Business Management. He was Visiting Scholar at Stanford University – CDR (Center for Design Research) in 2012. His research topics deal with the strategic role of design, design management processes and how design generates new business models and new ventures. 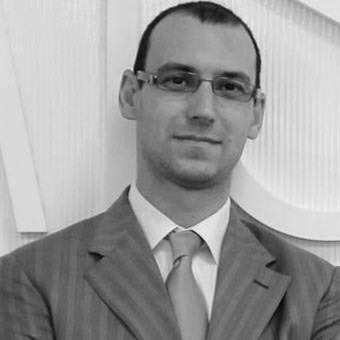 He is currently Director of the Master in Strategic Design of Politecnico. Yearly he teaches at the Politecnico Design School, at POLI.Design Consortium, at MIP-Politecnico Business School and in other international schools as Visiting Professor (Universidad de Valparaiso, International University of Monaco, EDC, Creative Academy, Tongji University, Unisinos- University of Porto Alegre). His last articles were published by journals as Technovation, International Entrepreneurship and Management Journal, Design Issues, International Journal of Entrepreneurship and Innovation Management, Design Management Review. 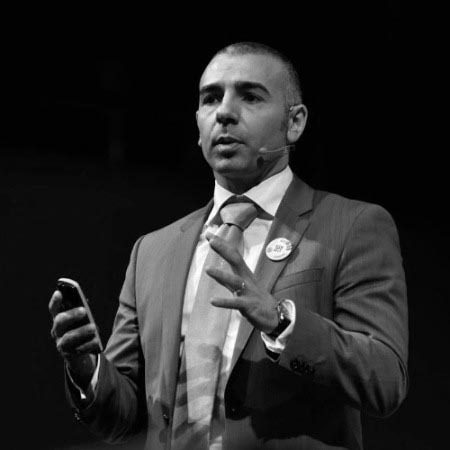 Luxury consultant, trainer, ICF coach and public speaker, Raffaele Ciardulli built up his experience during 18 years spent in the Richemont Group (11 of them as marketing director of the Cartier Italian subsidiary) and sharpened it thank to several experiences with Italian dynamic entrepreneurs’ jewelry brands such as Chantecler, Stefan Hafner or Roberto Demeglio. He participated to the development of the Bvlgary Jewellery Academy and supported, as a trainer, Club degli Orafi, Emilio Pucci, Brunello Cucinelli, Loro Piana, Pomellato and Gruppo Baglioni. He shared his experiences with the students of Tarì Design School, Gemmological Education Certification Institute, Haute Future Fashion Academy, Bejing Institute of Fashion Technology, Sichuan College of Culture and Arts and with entrepreneurs selected by Càmara Nacional de la industria del Vestido (Mexico). 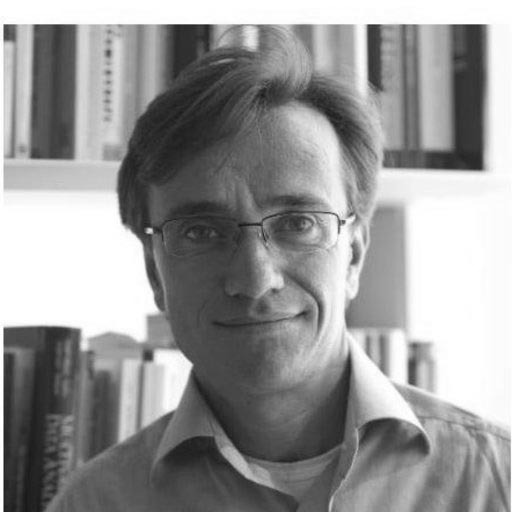 PhD, is lecturer of marketing at Bocconi University and senior professor at SDA Bocconi School of Management. He has been visiting at HEC and Darthmouth College. His areas of expertise include marketing strategy, innovation and digital marketing. His research activity is focused on creative, entertainment and technology industries. Author of books and many articles edited both on academic and practitioner journals, the last book he wrote is Mind The Change, on digital transformation. 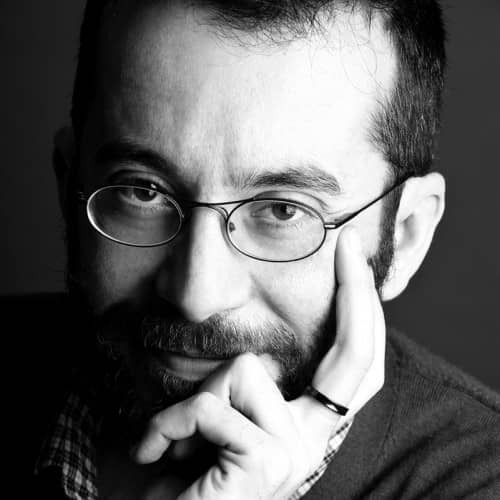 Phd, Assistant Professor in Industrial design at the Polytechnic of Milan, he is responsible of the Dynamics of Innovation connected to processes of Cross Fertilization between Fashion and Culture of the Industrial Design. He has worked in Donna Karan NY, with responsibility in sales of DKNY Woman in Italy. Visiting Researcher to Srishti School of Art, Design and Technology of Bangalore (India), Junior researcher into SENAI Design Future programme in Brazil, he is executive secretary of Fashion and Textile Research Unit. Actually, he working on some project in Textile end Knit Design. Ph.D. in Communication cultures (Sociology of Cultural Processes) and researcher at OssCom (Research Center on Media and Communication), where he took part in researches on mobile media, social media, OOH and creative industries for public and private companies. Adjunct professor in Information science for communication and Lecturer in Digital and Social Media Marketing for various postgraduate masters in Università Cattolica, and advanced courses at Poli.Design and UPA (Utenti Pubblicità Associati). Digital media consultant and social media strategist for medium and small businesses in the food industry, he is also Social media manager for the University of Bergamo. Architect, he is presently president of the Triennale Design Museum in Milan for which he has developed the new concept of a changing museum and the different editorial lines on new Italian design, the masters and new looks on new design from far away countries. He is Industrial Design full professor, at the Design Faculty of the Politecnico di Milano, where, he is actually Dean of the School of Design after having covered for eight years the role of Head of INDACO Department (Dipartimento di Industrial Design, delle Arti, della Comunicazione e della Moda). Chief and Senior Professor of Textile Design degree course (Campus of Como, Politecnico of Milan) and Manager of Fashion Design degree courses (Campus Bovisa, Politecnico of Milan). He is one of the founders of the College of Design of the Politecnico and of the Interior Design PhD course. He lectured at the Universities of Copenhagen, Helsinki, Oslo, Barcelona, Montreal, Berlin,Shanghaj, Beijing, Orleans, Paris, Melbourne, Buenos Aires, Saõ Paulo and Rio de Janeiro. He is an Italian fashion accessories designer based in Milan. After working experiences at DeBeers, Dolce&Gabbana and Ermenegildo Zegna, he is now the Gianfranco Ferré accessories designer, in charge of Womens and Mens Collections of handbags, belts, small leather goods and bijoux. He also collaborates with accessories brands as a design consultant. His focus is the research on the new scenarios in the luxury field and the design of fashion accessories for international brands, translating their heritage into ideas for new products. He obtained his Fashion Design Bachelor Degree and his Fashion Design Master Degree at the Politecnico di Milano with the highest score and he has been awarded with the gold medal as Politecnico di Milano Best Graduate in Fashion Design of the Year 2009. He also attended at Politecnico a Jewellery Design Master Course and he took part in international contests and design exhibitions. He is researcher, teacher and content curator. He is specialized in innovation in design, fashion, technology and communication. Italian editor for Cool Hunting, he also contributes to national and international publications such as Vogue Italia, Marie Claire, Vedomosti. He holds the "Fashion and Industrial Design" teaching at the University of Bologna (Polo di Rimini) and he’s visiting professor in fashion and design schools in Italy and abroad. He is a member of the scientific committees of Milano Design Award and Brera Design Days. Ph.D. in Design and technology for the enhancement of Cultural Heritage, actually Contract Professor in Visual Design and Research Fellow at the Design Department of Politecnico di Milano. 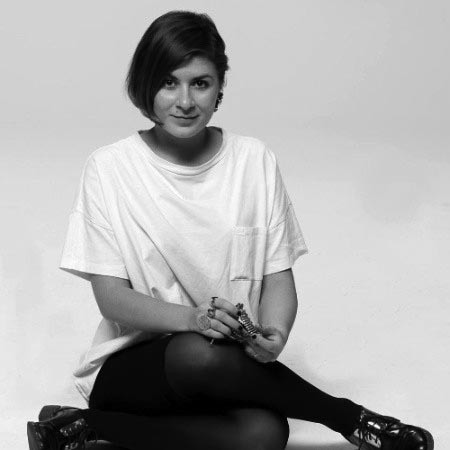 She is involved in researches and programs about communication design and strategic enhancement of fashion system. She took part of national and international research programs about design driven innovation for cultural enhancement. After a four year stint in PR, freelancing for automotive companies such as GM, Daimler-Benz and FIAT, He started his work in apparel production, specializing in sportswear. He is currently part of R&D for PROTEAM Ltd, one of the leader in sportswear production in Europe, where he takes care of Product Innovation Process focusing on fabrics and raw materials. 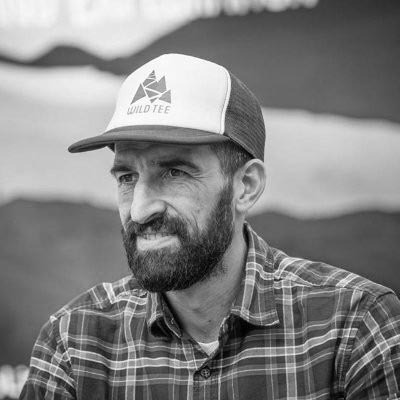 He is consulting and cooperating with some European outdoor and running magazines, dedicated both to industry members and final consumers, and since 2010 he is part of the European Outdoor Group Research Group, an association of outdoor companies that focus on sustainabilty and innovation applied to process and product. Is General Manager of Milano Fashion Institute. He specialized in the fields of Corporate Strategy, Entrepreneurship and Business Planning and in the Management of the Fashion Companies, for which he is currently involved in the related under-graduate and graduate courses at Bocconi University and other University Institutions. He also teaches executive courses in the Strategic Area of the SDA Bocconi Business School concerning Cross Cultural Management. Among his recent publications: Varacca Capello P, Guerini N, Misani N, Ravasi D; “The Italian Fashion Industry in 2010” (ECCH, 2012). 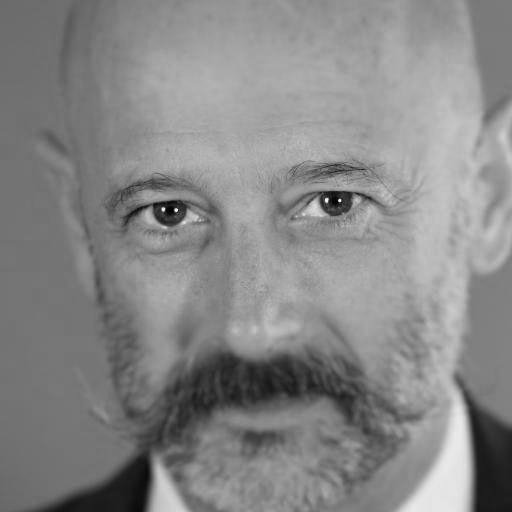 He is currently Advisor for Italian and international companies in the luxury and lifestyle industry, with a focus on start-up of new businesses, and Member of the Board of Panelists for the Intesa Sanpaolo Start-up Initiative Fashion & Design Tech. In 2012, he has been appointed as Member of the Assessment Council for the Announcement of Selection “Fashion Start-up: selection and appraisal of young and/or women talents”, promoted by the Councillor for Industry, Craftsmanship, Building Trade and Cooperation, Lombardy Region. 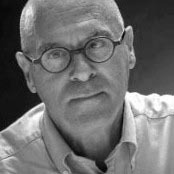 His scientific training, gained in the national and international design environment is at the basis of his strategic planning skills in Design and Fashion Design, thanks to constant relationships with supranational research organizations (Iacocca Institute of Lehigh University - USA, Oxford Brookes University - England, Saint Petersburg University of Technology and Design - Russia, Nanjing University of Design - China,Tecnològico de Monterrey - Mexico, Goenka University - New Delhi India). Art Director with a history of accomplishing business objectives through innovative graphic design projects, trend research, the creation of new brand identities and successful design brand language, for Companies such as: Samsung, Smemoranda, Mondadori, Warner Bros., Mandarina Duck, Slowear, Uniqueness by Pinko,Valentino, Marni. Architect and Professor of Fashion and Graphic Design at Politecnico di Milano. 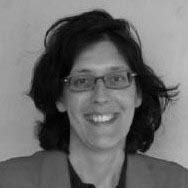 She is Associate Professor in the Sociology of Culture at the Department of Sociology, Università Cattolica del Sacro Cuore of Milan, where she teaches Socioloy and Sociology of culture. She is in the Board of Advisors of the Centre for the Study of Fashion and Cultural Production (Modacult) of the same University. 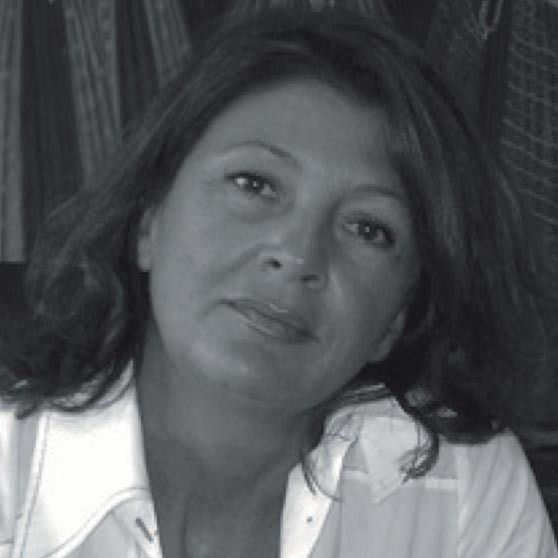 She has written the following books: Culture creole: Imprenditrici straniere a Milano (FrancoAngeli 2003); with E. Montagnini La moda della responsabilità (FrancoAngeli 2007); Creative evasioni. Manifatture di moda in carcere (FrancoAngeli 2012). Among her papers: with M. A. Trasforini Precarious objects, precarious lives. Grounded aesthetics in poverty contexts, in Journal of European Popolar Culture, Vol. 3, N. 1, 2012; Eccentric Fashion: Prison and creativity in International Journal of Fashion Studies, Vol. 1, N. 2, 2014. 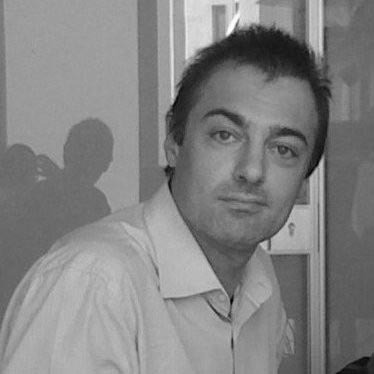 After practicing intellectual property and competition law for ten years for leading national and international law firms, Massimo Maggiore co-founded Maschietto Maggiore studio legale with Eva Maschietto in 2007. Since 2006, he has steadily collaborated with Bocconi University as an adjunct professor of marketing law. 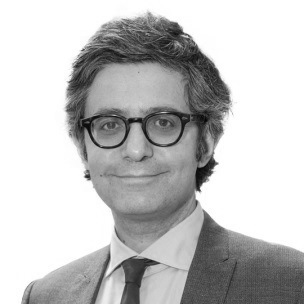 In 2014, he entered the rankings of Chambers & Partners Europe and the Legal 500 named him among the leading Italian Intellectual Property lawyers. He is the author of a number of publications and a frequent speaker at conferences regarding competition, intellectual property and IT law, in particular as it relates to copyright, open source software, trademark, retail sector, cloud computing and enforcement of competition law. 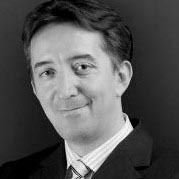 Massimo is a member of the Milan Bar and is licensed to advocate before the higher courts. She is primarily concerned with the interplay of Fashion, art-worlds and craft-worlds. 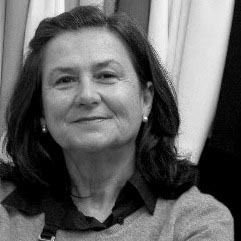 She has recently completed research exploring how artisans, designers, stylists transform the meaning and practice of fashion production within the context of industrialized clothes and textile production, typical of Italian fashion traditions. 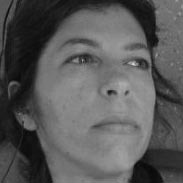 She is member of the Steering Committee of the MA in Communication for creative industries and Adjunct Professor of Sociology within the degree program in Tourism Management at Università dell’Insubria in Como. Art and fashion historian is Research Fellow at Southampton Solent University (UK) where she worked previously (between 1994-2010) as a Senior Lecturer in Fashion Studies. 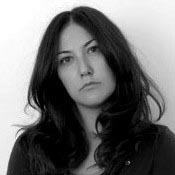 She is also visiting lecturer in Fashion Studies at the IstitutoMarangoni (London Campus). At present she has just completed a book in collaboration with Professor Peter McNeil (professor at Sydney University of Technology) entitled: Fashion Criticism: History, Theory, Practice , Bloomsbury, London (2014). She is at present working on a book entitled A New History of Fashion, commissioned by Thames and Hudson (150,000 words and 500 – 800 illustrations). Post doctoral researcher at Università della Svizzera Italiana (Lugano, Switzerland) and fellow of the Marketing Department of SDA Bocconi School of Management, in Milan, Italy. She teaches at Franklin University of Switzerland since 2013 holding class in Marketing, Integrated Marketing Communication and Product and Service Management. After her master degree in Management for Arts, Culture and Communication from Bocconi University, she obtained a Ph.D in Business Administration and Management from the same university. 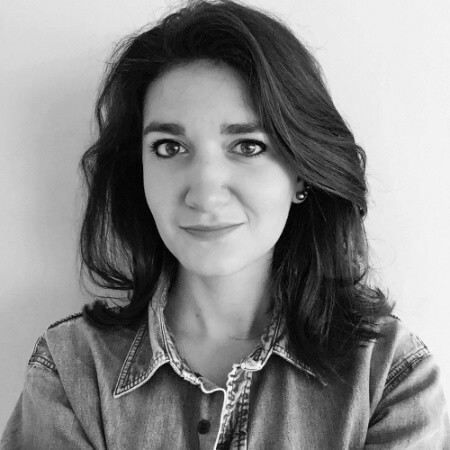 Giulia is interested in investigating how consumers take decisions and process information in the context of cultural and artistic consumption and how communication and branding strategies influence individuals. Her articles appeared on major academic marketing journals such as Psychology and Marketing, International Journal of Research in Marketing, International Journal of Consumer Studies, Journal of Consumer Marketing. 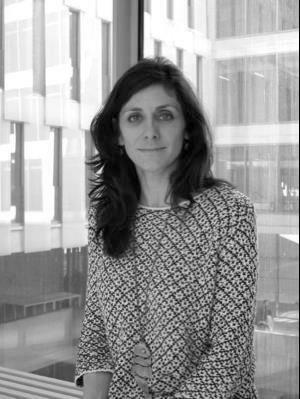 Associate Professor in the Department of Law at Bocconi University in Milan she teachs Intellectual property law at ACME (Economics and management of art , communication and culture), and Law for marketing at MM (Marketing Management). 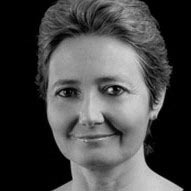 She recently published the book: “Il diritto d’autore nell’era digitale: la distribuzione online delle opere dell’ingegno, Giuffre 2012”. Her current research interest is on Copyright and Architecture. She has started her career in fashion as freelance editor and stylist working for: vogue.it, glamour.it, Canon, Brooksfield, CNMI and much more. 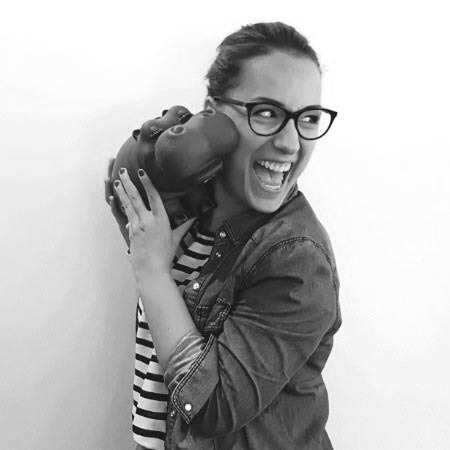 After a Master in communication at Università Cattolica of Milano, she became WW PR assistant at Costume National. Currently she works as copywriter at Armando Testa for luxury, fashion and food brands such as: Giorgio Armani, Pomellato, The Style Outlets, Conbipel, Esselunga, Chiquita, Amaro Montenegro. Architect and designer, practicing since 2001, he works in the private and public sectors. 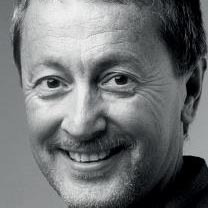 He designed the corporate identity of a franchise of nurseries in Italy and a chain of beauty salons in Malaysia. 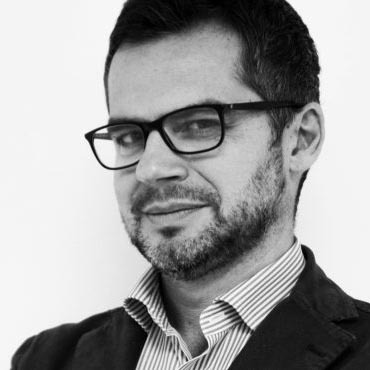 Professor of Visual Merchandising at Politecnico’s School of Design (since 2012), he developed several research projects on product and interior design in the retail sector. He also lectured at FIT, Domus Academy, Bocconi, GD Goenka,Tsinghua University in Beijing, Tashkent Institute of Light Industry and Textile Technology and Beijing Institute of Fashion Technology, focusing on the newest strategies for fashion stores and fashion boutique hotels. For Foundation Altagamma he developed the interior design of the new concept store and restaurant Larte, in Milan city centre. He has also developed several interior design projects for exhibitions around the world. MSc in Fashion Design with a thesis in Knitwear Design at the Politecnico di Milano. In her PhD research she is focusing on creating connections between Knitwear Design education and the industrial reality of excellence in the Made in Italy context. Experienced Lawyer with a demonstrated history of working in the law practice industry. Skilled in E commerce and consumer law, Privacy Law, Intellectual Property, and Legal Assistance. She teaches and coordinates the Merchandising and Buying course of the Master in Brand & Business Management at Milano Fashion Institute. She teaches at Bocconi University, SDA Bocconi School of Management, NIBI (Milan) and CREA Business School (Geneva). 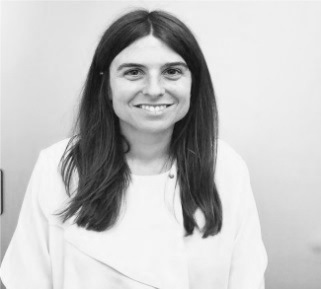 She is a tutor of projects and coordinator of study tours at SDA Bocconi and Milan Fashion institute and a management consultant for companies in the Fashion and Luxury industries, with a focus on brand management, merchandising, digital strategies and business model innovation. 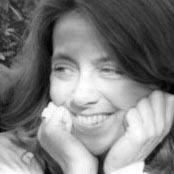 She is an editor of www.flawlessmilano.com (lifestyle digital magazine) and wrote for http://ideas.sdabocconi.it/strategy/ (Strategy digital magazine of Bocconi). He moved from Sicily to Milan in order to nourish his two main interests: Communication and Acting. While graduating with first-class honours in Communication Sciences, he undertook a theatrical career, working as actor in the Italian and International Show Business. His impressive propensity to interpersonal relationships and his interest for pedagogy – meant as an exchange of experiences - made him devote himself to Teaching and Training within both educational networks (Bocconi, IED, Cattolica University…) and private companies. With his two partners, he recently founded Plan Be, a company active in the field of training and corporate events. His areas of intervention are Teambuilding and Teamwork, Communication and Public Speaking, Active Listening and Feedback, Diversity and Relation, Creative Problem Solving, Meeting Management, Playback Theatre techniques. He graduated in Economic Science, is an innovation and technology passionate. From 2005 he is working in consultancy firms, and starting from 2012 is focused on Omnichannel Strategy and Digital Transformation for Automotive, Retail and Fashion & Luxury industries. He’s working in Engineering Group, the biggest ICT Consulting Italian Company. He’s speaker in several events related to Omnichannel & Digital Innovation. Graduated in Business Administration at Luigi Bocconi University, is now Professor of Information Systems Management, Process and Project Management in courses addressed to managers and master’s students at SDA Bocconi School of Management. She owns the responsibility of the master course of Process Management at Università Bocconi. Over the years, gained knowledge of the field of fashion, luxury and design. Today is the reference to the themes of all Information Systems initiatives for the fashion industry. Consultant of Information Systems and Project Management Issues for Italian and international companies. 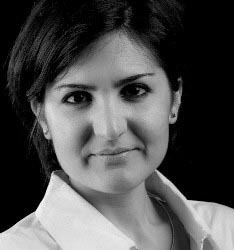 Since January 2013 she is Deputy Director for the MSc in Marketing Management and SDA Coordinator of Marketing Executive Courses. 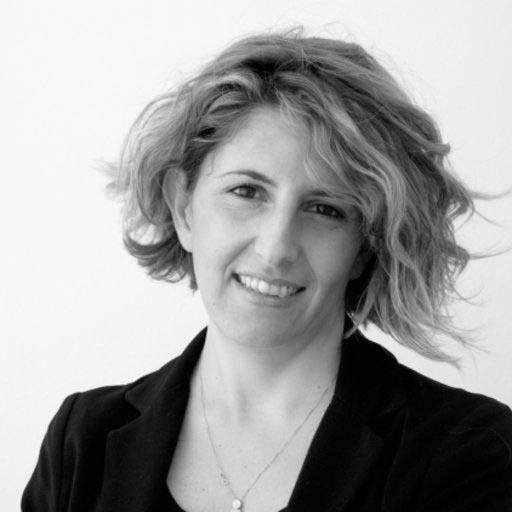 She is Lecturer Professor of Marketing at the Department of Marketing, Bocconi University. 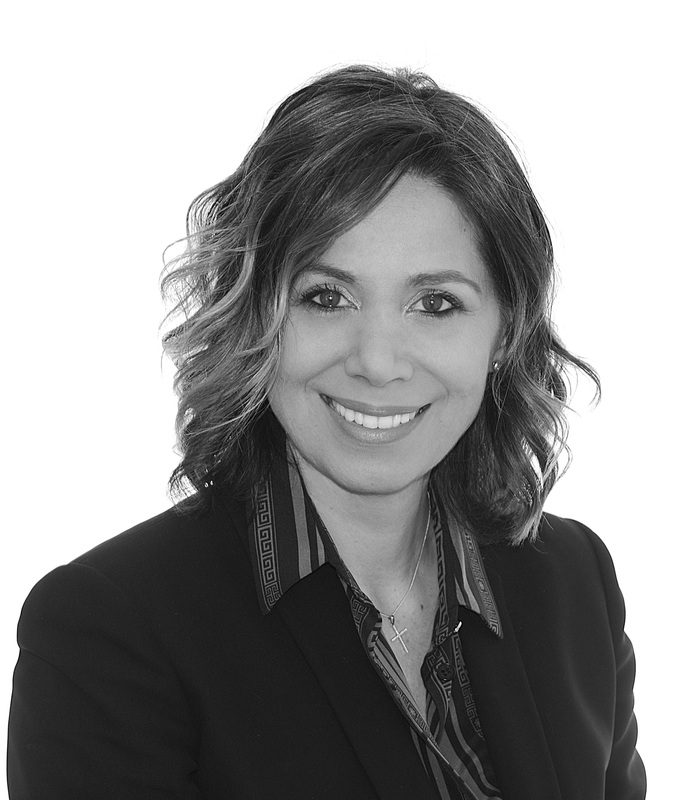 She conducted different research projects and has been working both in executive education programs and advising activities with some of the most important companies in the FMCGs, in the digital, beauty and pharmaceutical industries. Her areas of expertise include innovation and new product development, digital marketing and event project management. She was Adjunct Professor at Franklin College University, Lugano Switzerland and Visiting Assistant Professor at UCLA, University of California Los Angeles. Marketing Professor at Sda Bocconi School of Management and Strategy Advisor at VISIONANDO. Prior to doing that, he had been working for around 12 years as a manager and director of multinational companies operating in Europe and Asia. In particular, he was Marketing Director of OVS, one of the leading retailers within the apparel industry in Italy, where he set up the OVS new retail-mix. 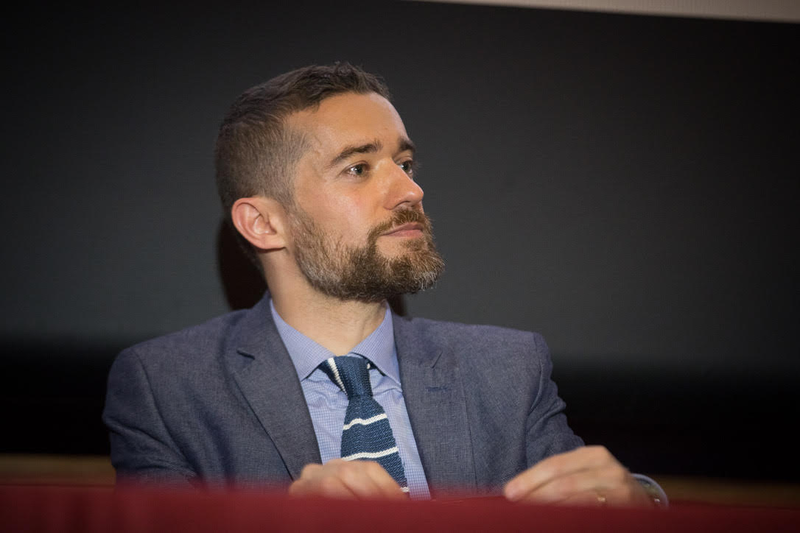 His main focus, both at an academic and professional level, is on the retail industry and the green economy. He is lecturing on Retail-mix and Category Management at the MAFED (International Master in Fashion, Experience and Design) of SDA Bocconi School of Management. Recently he has written a book, “GreenWebEconomics. The New Fronteer”, analyzing innovative business models positioned at the intersection between the Green and the Web, and has published articles on the future of retail in international magazines like “Detail in Retail”. 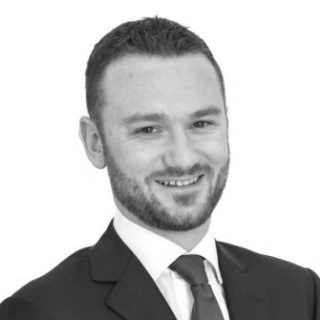 He graduated at Bocconi University and holds an MBA from Vlerick Leuven Gent Management School. 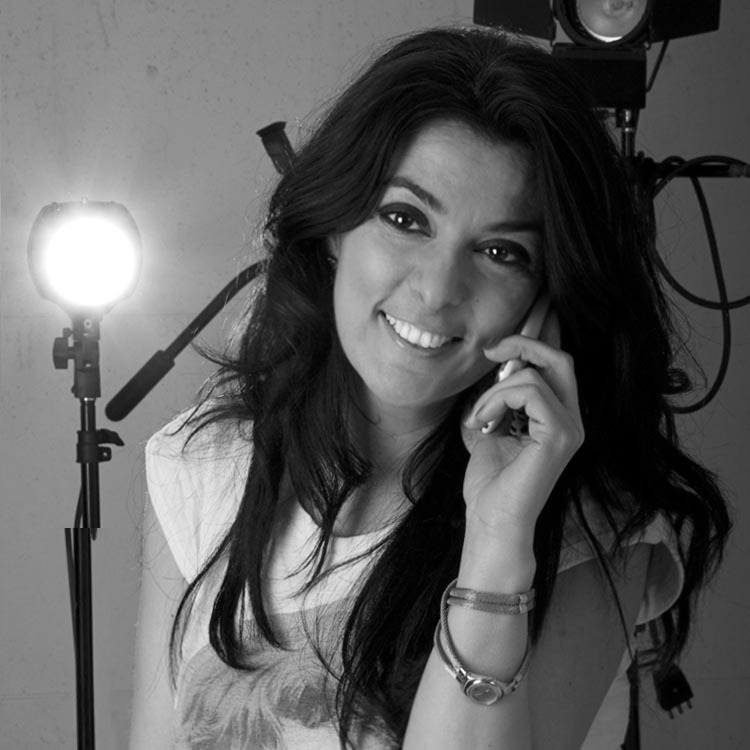 Francesca Romana Rinaldi is director of the Master in Fashion Direction: Brand & Business Management at MFI. She is Honorary Fellow at Bocconi University and Assistant Professor at SDA Bocconi (Bocconi Business School), faculty member of the Luxury & Fashion Knowledge Center and Master in Fashion, Experience & Design Management (MAFED) SDA Bocconi and responsible of the “CSR in Fashion & Luxury” seminar at MAFED. Her main research and executive consulting focus is on fashion brand management, management of sustainable fashion and digital strategies in fashion. 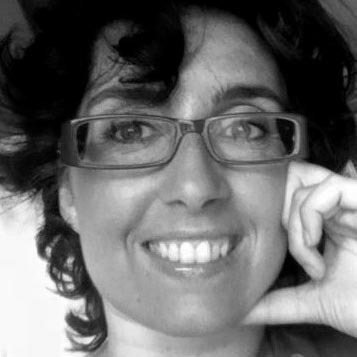 Co-author of “L’Impresa Moda Responsabile” (Egea, 2013) and “The Responsible Fashion Company” (Greenleaf Publishing, 2014) she is consultant for fashion & luxury companies at international level on the areas of digital strategies, brand and retail management and corporate responsibility. In 2010 she created Bio-Fashion (http://bio-fashion.blogspot.it) talking about sustainable fashion and sustainable lifestyle. Courses: Fashion Business Models, Fashion Marketing & Brand Management, Retail Management, Omnichannel Retailing, Digital Fashion, Round Tables. He is associate professor of marketing and consumer culture at the Kedge Business School (Marseilles campus) and senior analyst at CERMES, Bocconi University’s. 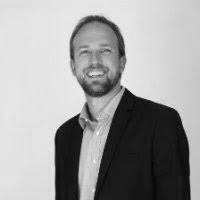 His research interests include consumer culture, advertising, trade shows and other marketing events. He has carried out research projects on textile/clothing trade shows, fashion weeks, the relationship between advertising investments and media coverage of fashion companies in consumer magazines, the diffusion of fashion trends. He is author of Event Marketing (EGEA, 2011) and Trade Shows in the Globalising Knowledge Economy (Oxford University Press, 2014). He sits in the editorial board of the Journal of Global Fashion Marketing. Received his Bachelor of Fine Arts degree in Contemporary Photography at the Rhode Island School of Design in 1970. He moved to Italy in the early 70’s where he established himself for over 30 years as a corporate photographer. He combined his professional career with an intense educational involvement, conducting projects and workshops at the Pinacoteca di Brera in Milan, at the Accademia di Belle Arti of Bergamo, at the Istituto Europeo di Design in Milan and at the Arthur Watson IBM Centre for management in Bruxelles. He is visiting professor at the Ecole Superieur d’Arts Appliqués in Vevey, Switzerland where he teaches Retail Semiotics and Brand Identity. He dedicates much of his time to film projects, story-telling and cross-platform media with his production company Rozzo Plus. He lives and works in Milan, Italy. Experienced in fashion and textile. 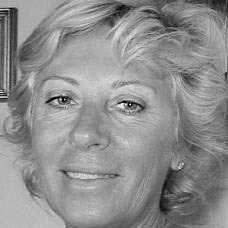 Product manager and managing director of textile fashion productions since 1977, she has been cooperating with most important Italian designers. She has been coordinating projects of market development, brand positioning, co-marketing and communication of textile products. 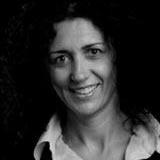 She is a contract professor at Politecnico di Milano, Design Faculty. 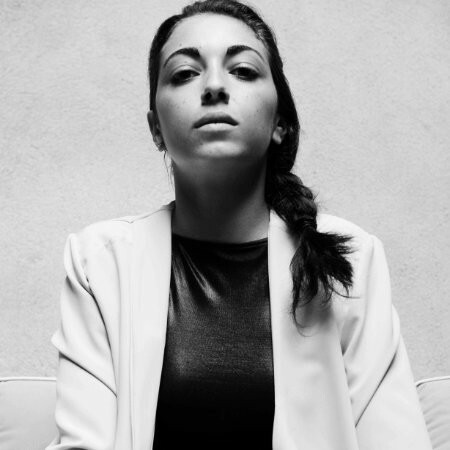 She is a consultant in ready to wear productions for apparel companies and at the Milan Court of law. She is professor at Fashion Institute of Technology, FIT New York at Politecnico di Milano. Is a professor of Information Systems and Platform Project Management at SDA Bocconi School of Management. He is a PhD student at the University of Brema, Germany. He leads the Project Management Course for the Part Time Executive MBA and the Part Time International Executive MBA, as well as being the supervisor of the Information Systems Project Management Course at SDA Bocconi. 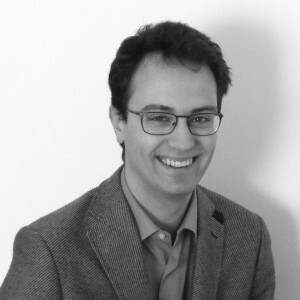 He is a contract professor at Università Bocconi on the Project Management and IT for Economics international course. He is Coordinator of the Master course in Information Systems Management. He lectures in Project Management at the international master course in eBusiness Management at ISUFI, Lecce (in conjunction with Al Akhawayn University, Morocco). LVMH-Guerlain, Fratelli Rossetti and Ralph Lauren. After product management and marketing experiences, she specializes in Accessories and Footwear Merchandising through the collaboration with Fratelli Rossetti and Ralph Lauren. Since 2008 she’s Merchandising Manager Luxury Accessories for Ralph Lauren in Europe. is a Senior Brand Strategist that worked across the main communication global network. Began her career as a business consultant and later move into advertising she brings together experience in brand strategy, consumer understanding and client-side marketing to inspire a new effective creativity. From 2010 she is lecturer for the Strategic Planning Course at the Marketing and Branding Masters for several Universities. SDA Professor of Marketing and contract professor at Bocconi University and LUM University. 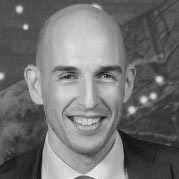 Marco also teaches marketing and sales management in graduate and post graduate programs at UAB – Universitat Autonoma de Barcellona. He has collaborated with the University of Kuopio (Finland) and Federico Santa Maria (Chile). Director of several national and international executive training programs. 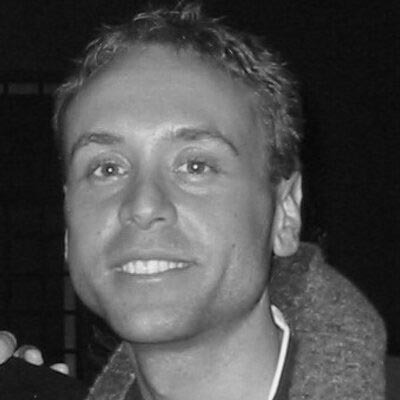 Has been director of the international Channel & Retail Academy of SDA Bocconi, currently responsible of the Sales & Retail Management Program at MAFED (Master in Fashion & Design) and Sales Management program at EMMS (executive master in marketing and sales in partnership with ESADE School of Management). 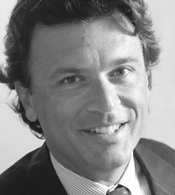 Marco is also head of the executive’s Marketing Community at SDA Bocconi. His main area of interest are in Marketing, Sales and Retail management. The main industries he has worked with are fashion, FMCG, health care, manufacturing and various services. She has been the head of pr, communication and events at Vivienne Westwood for 6 years where she has been managing corporate communication, marketing, fashion shows, digital tools, events and celebrities. She has been teaching in fashion academies for five years now, after a degree at Politecnico di Milano in Fashion design, where she has been collaborating with Bottega Veneta. She organizes fashion shows, international events, exhibitions, and is the communication and marketing consultant for several brands. An architect and researcher, has contributed to Interior Architecture Courses let by Prof. Arturo Dell’Acqua, with a special focus on furnishings and textiles in interior design. Professionally, she works in the textiles design area, with a special focus on fashion design, textiles for interior decoration and car design. She is an expert in fashion and textiles technology. 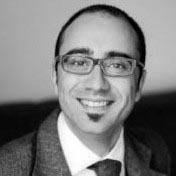 He is Digital Communication Manager and Head of Social Media at Federchimica (Confindustria), after a degree in Sociology of Communication. He is an expert in digital strategies, Social Media Marketing and Digital PR. He teaches Digital Communication and Digital PR at Master in Comunicazione per le Industrie Creative - Università Cattolica of Milano and in a variety of courses for students and managers. He manages the courses for multinational and PMI companies of "Advanced Social Media Marketing" and "How to make business with the Digital Communication" at Federchimica. He is Editor in chief of two blogs and their Social accounts. He manages his own blog www.chestorie.com. She is graduated in Fashion Design at Politecnico di Milano, where she also attended the course in advanced training in jewellery design. She is a PhD student in Design. 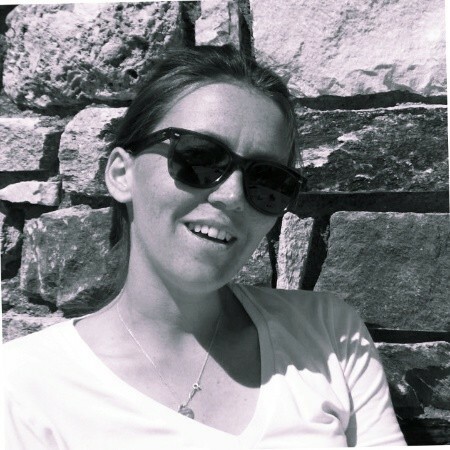 Editor of the blog www.jewelleryscape.it, she collaborates with numerous magazines in the sector. Venice 2013), Alcantara Jewellery Design (Edizioni Poli.Design, Milan 2013), Il Gioiello Utile: ornamenti RFID (Mondadori, Milano 2012), Jewelleryscape (Maggioli editore, Milano 2010). PhD at London Metropolitan University, teaches Corporate Finance at SDA Bocconi School of Management and is Adjunct Professor in the courses of Corporate Finance, Venture Capital and Valuation, International Project Finance and Financial Management at Bocconi University. He is faculty member in some of SDA Bocconi Master and Executive Programs (MCF, Master in Corporate Finance; MaMa, Master in Arts Management). His main research areas are financial analysis, corporate finance, corporate valuation, capital budgeting, M&As. He has published more than 20 papers in different international scientific journals, is co-author of six manuscripts and has worked with different publishers for the curatorship and translation of some scientific books. Freelance writer, consultant and startupper specialized in the field of fashion. She is an Alumni of the Milano Fashion Institute and today collaborates with printed publications as MFFashion, MFF-Magazine for Fashion and MFL-Magazine for Living, as well as for the Italian edition of Esquire, Men’s lifestyle and fashion magazine launched by Hearst publishing house. She is also co-founder and chief creative officer of DenoiseDesign.com, a new web editorial platform and eCommerce dedicated to emerging brands. She has interviewed several names in the fashion business, including chief executive officers and creative directors of brands such as Fendi, Diesel, Bulgari and Ermenegildo Zegna, amongst others. Teaching Assistant in the Department of Law for the European and International Advanced IP Law and Comparative Public Law course at Bocconi University of Milan. He is a 11-years-experienced strategic planner. 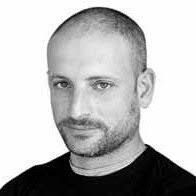 He worked for international advertising and branding agencies such as JWT, Publicis and FutureBrand. In 2014 he started the free lance activity working as strategic consultant for agencies and companies on advertising and branding projects. He has been teaching in severalMilan universities such asNaba, Bocconi, Ied and the Ied MasterBrand. Recently he launched "Ghost Presenter" a tailor madeconsultancy service focused on presentation development and improvement. She is a 10 years experience strategist with a deep understanding of the digital world and technologies that contribute to innovate industries. hyper-connected world. 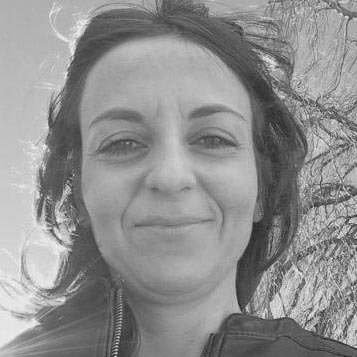 Anna is actually a strategist in the Wavemaker Global team, one of the most important media and content agencies in Italy and in the world, where she designs strategy for many brands.